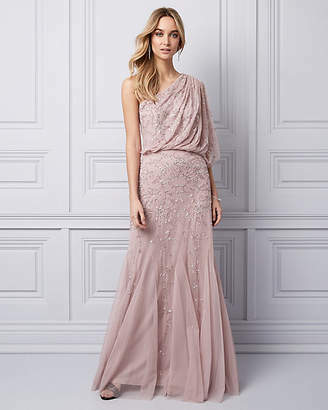 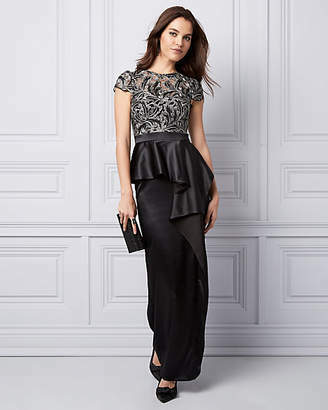 Details Allover beading brings a statement-making feel to this romantic evening gown. 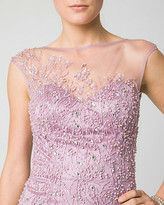 Designed with an illusion neckline, this fitted style lends a chic and glamorous look. 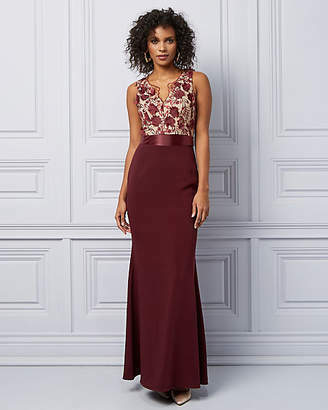 Beaded & knit Illusion neckline, sleeveless Fitted, straight hem 69.5'' from high shoulder point 100% Polyester Imported Please note that this dress will be delivered with an additional return tag attached. 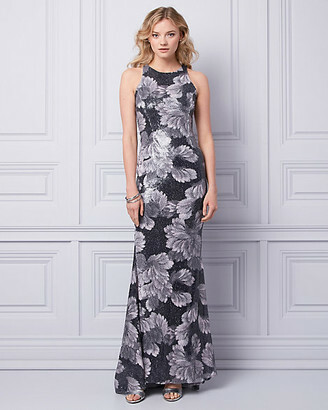 The dress cannot be returned once return tag is removed.